These brush types are especially versatile to mount and visually adaptable. The core material is PVC, resistant to acids and alcalines and suitable for temperatures from -40°C to +60°C. We deliver our standard types from stock in 15 different profile types, filled with synthetic filaments of polyamide (PA6) and polypropylene (PP). 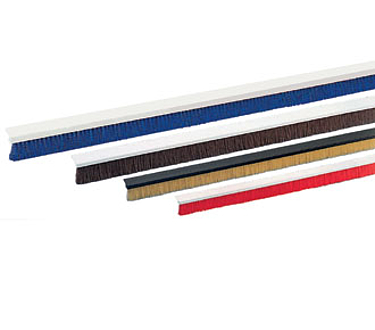 As our standard types which are available from stock we chose our most demanded sealing brushes concerning the trim heights and overall lengths.